Sulfate Free and Sodium Chloride Free. 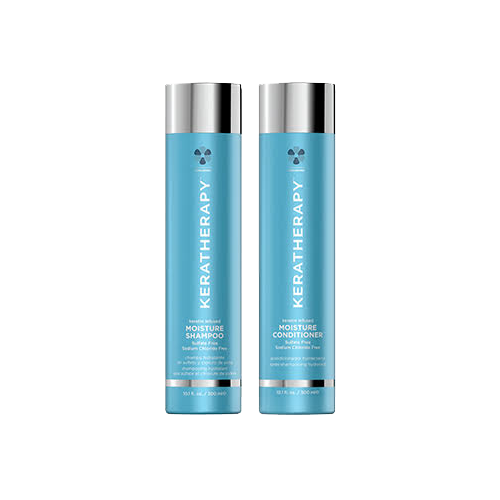 Gently cleanses and hydrates to reduce frizz and create smooth and shiny hair. Improves overall health of hair and can be used daily. Aloe Vera: High in amino acids, enzymes, vitamins and minerals to help strengthen and condition. Willow Bark Extract: Soothes the hair and scalp. Witch Hazel Extract: A powerful anti-oxidant that helps condition the scalp. Formulated to hydrate normal to the driest hair types. 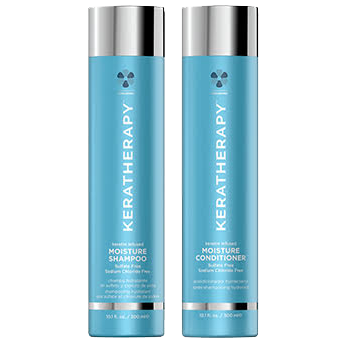 Repairs and strengthens to leave hair healthy, shiny and smooth. Seals in moisture resulting in beautiful and soft well nourished hair. Jojoba Oil: Helps soften hair to seal split ends while making it easier to comb and manage. Wheat Germ Oil: Rich in natural vitamins and essential fatty acids to strengthen and moisturize.